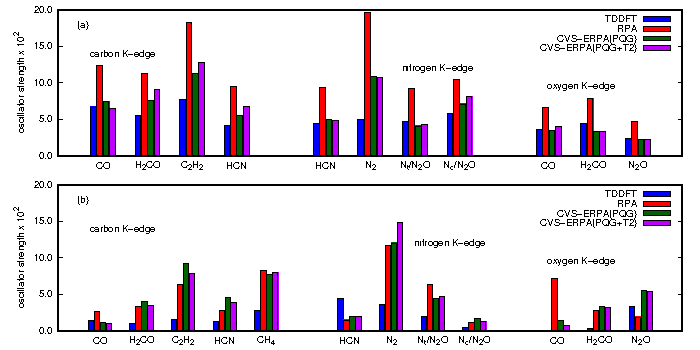 Check out our JCTC manuscript on multi-configurational pair-density functional theory. Our Large-scale v2RDM-driven CASSCF manuscript is available on JCTC. Find our paper on Modeling core-level excitations on Journal of Chemical Physics. Welcome to the DePrince research group home page! 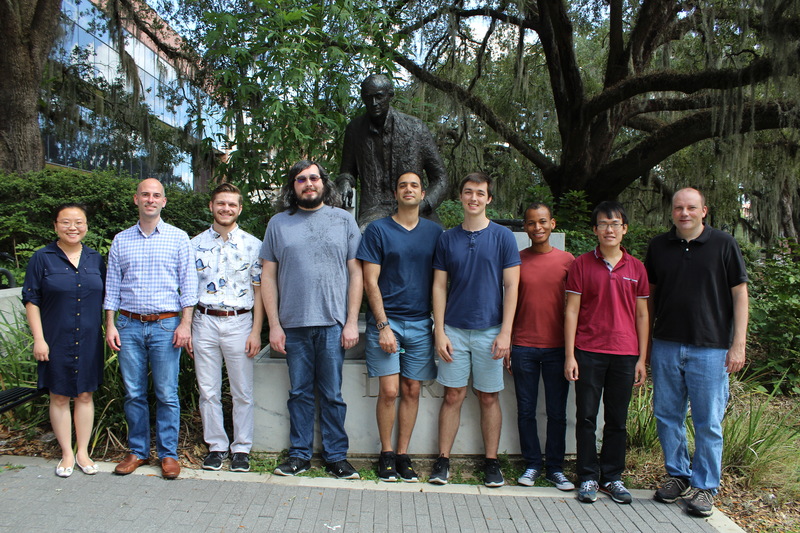 March 2019: Congratulations to our graduate student, Elvis Maradzike for winning the 2019 Jyo Dalal award in physical phemistry. Way to go! 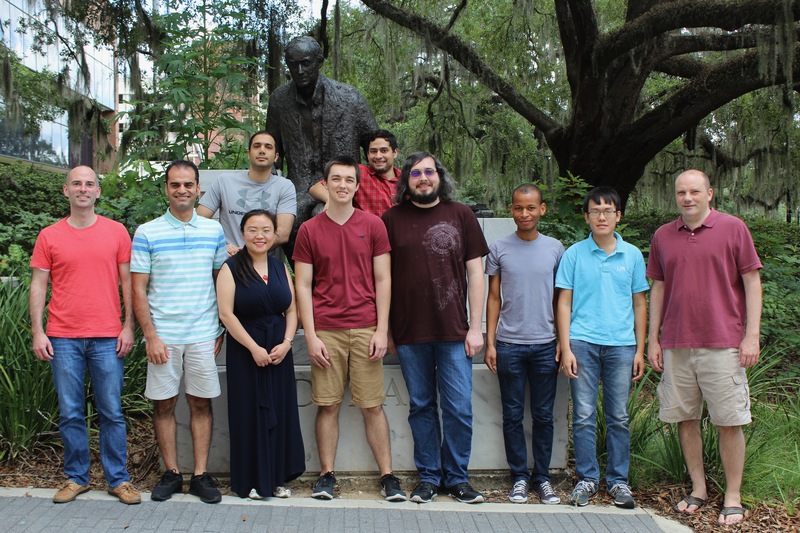 January 2019: Wayne's and Sina's papers ended up appearing back-to-back in JCTC! Buckle up for 27 continuous pages of non-stop thrill ride! December 2018: Sina's paper on Combining Pair-Density Functional Theory and Variational Two-Electron Reduced-Density Matrix Methods is published online on JCTC. December 2018: Elvis' paper on Modeling core-level excitations with variationally optimized reduced-density matrices and the extended random phase approximation is published online on Journal of Chemical Physics. November 2018: Check out our Analytic Energy Gradients for Variational Two-Electron Reduced-Density Matrix Methods within the Density Fitting Approximation manuscript on JCTC. October 2018: Graduate student Sina Mostafanejad submitted his first DePrince-group paper! Check out the preprint here. September 2018: Postdoc Wayne Mullinax submitted his first DePrince-group paper! Check out the preprint here. November 2016: Daniel's time-dependent coupled-cluster paper was chosen as "ACS Editor's Choice" in JCTC! October 2016: Our paper describing the variational optimization of the 2-RDM under pure-state N-representability conditions appeared in the Journal of Chemical Physics. October 2016: Dr. Wayne Mullinax joins the group as a postdoc. Welcome, Wayne! May 2016: Elvis and Lauren both won poster awards at SETCA 2016. Way to go!! . 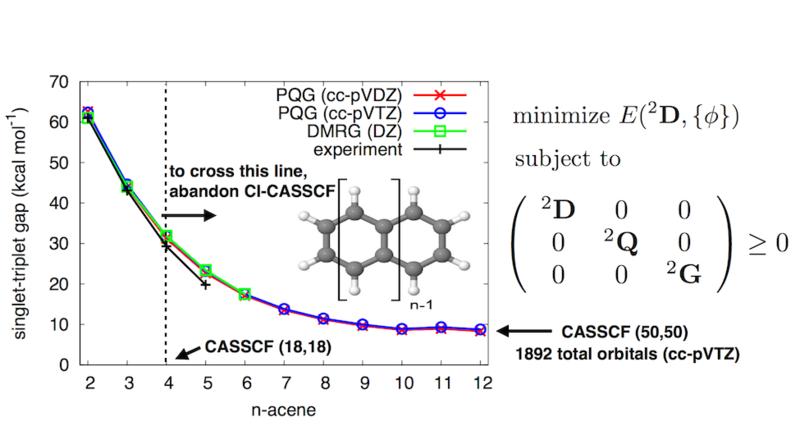 April 2016: Our paper describing large-scale v2RDM-driven CASSCF appeared in the Journal of Chemical Theory and Computation. March 2016: Registration is open for SETCA 2016! May 2015: On the heels of last week's win, Daniel's poster won 3rd prize at SETCA 2015! May 2015: Daniel's poster was voted the best graduate poster at FAME 2015! Way to go, Daniel! April 2015: Jacob submitted his first paper on open-shell variational 2-RDM methods. December 2014: Our paper describing a time-dependent reduced-density-matrix-based electronic structure method appeared in the Journal of Chemical Physics. 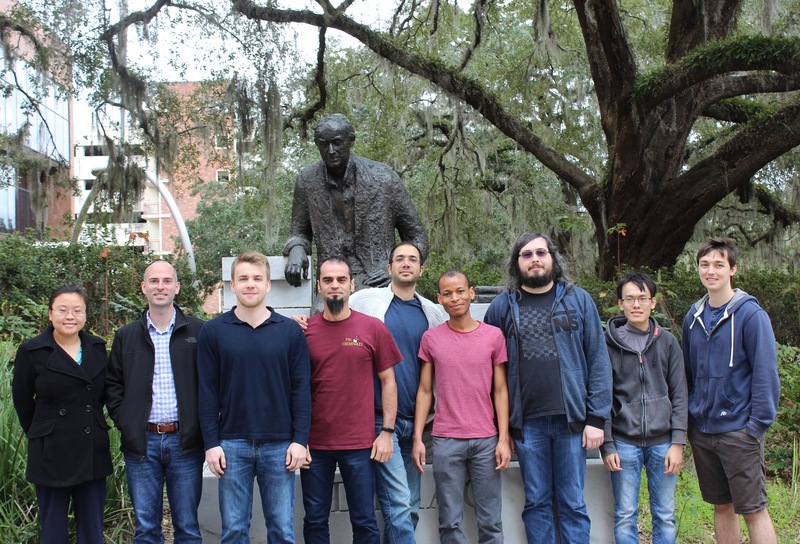 November 2014: First-year chemistry graduate students Tate Engstrand and Elvis Maridzike joined the group. Welcome! September 2014: Daniel Nascimento's first paper has appeared in the Journal of Chemical Theory and Computation. May 2014: Daniel Nascimento has submitted his first paper! April 2014: Postdoc Jacob Fosso-Tande joins the group! January 2014: Eugene's manuscript with David Sherrill describing a GPU imlementation of DF-CCSD has appeared in Molecular Physics. 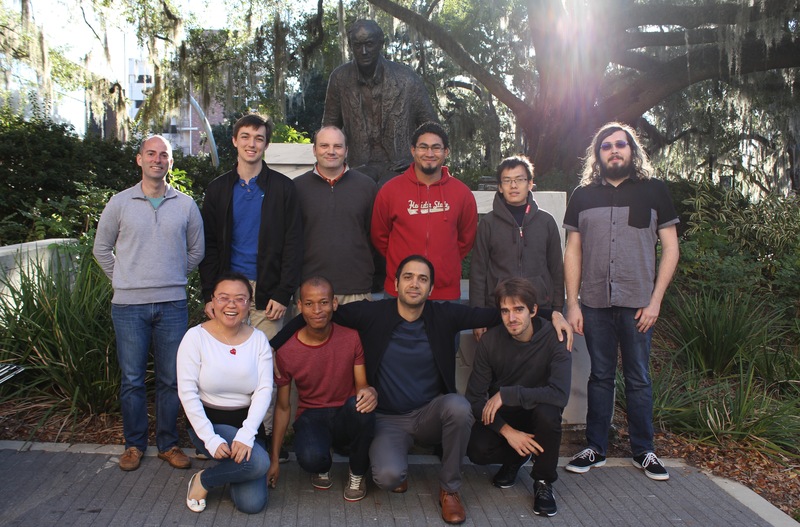 October 2013: First-year chemistry graduate student Daniel Nascimento joins the group! 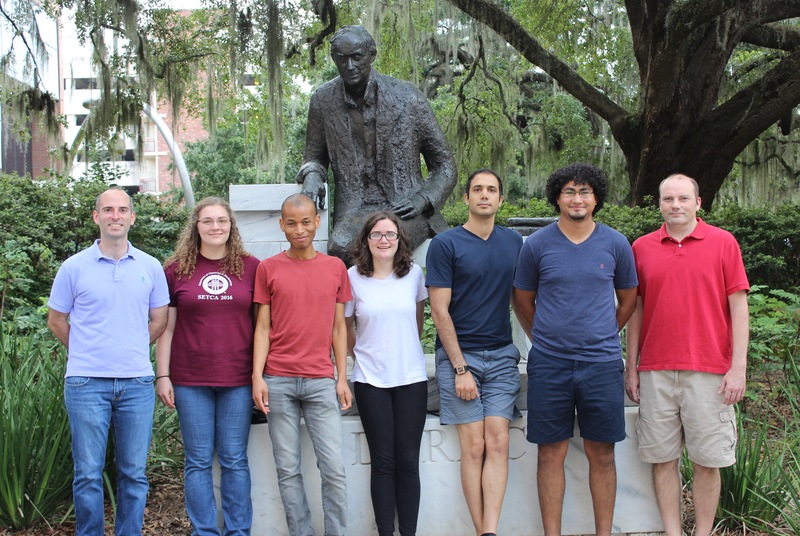 October 2013: First-year chemistry graduate student David Jeffcoat joins the group!